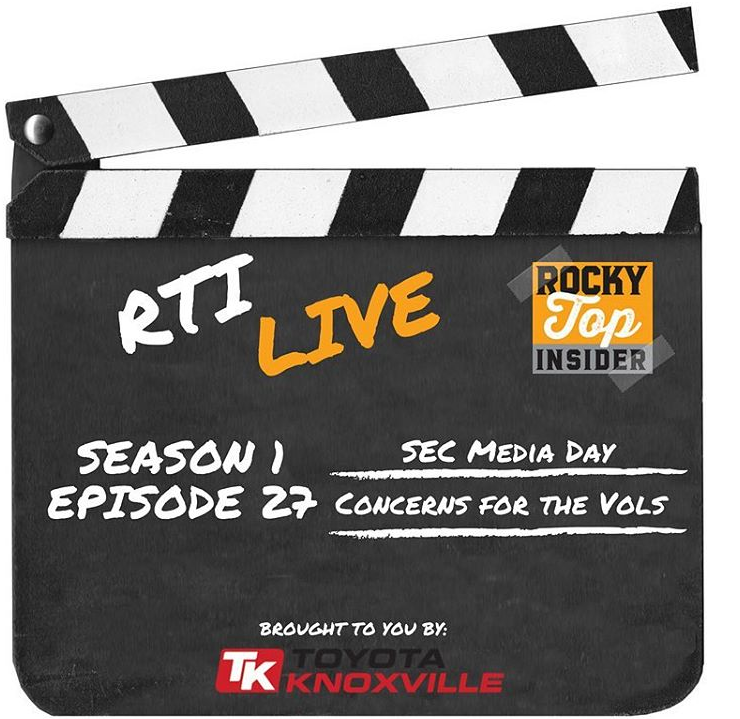 The RTI Live Show was at Toyota Knoxville’s dealership once again, and we had a discussion about SEC Media Days and the upcoming season. We talked about what we want to see from Tennessee at SEC Media Days next week and gave updates on the Vols’ strength and conditioning program. We also gave our No. 1 concern for the Vols heading into the 2018 season and asked for yours as well.